I am exactly like you. I love beauty. Every human soul is instinctively attracted to beauty. This modern world needs more beauty. To that aim, Quiner’s Diner will begin a regular feature titled “The world will be won by beauty.” We will occasionally post a work of art that transcends this world, that allows us to imagine the divine, namely God’s pure love. “Dostoevsky not only preached, but, to a certain degree also demonstrated in his own activity this reunification of concerns common to humanity–at least of the highest among these concerns–in one Christian idea. Being a religious person, he was at the same time a free thinker and a powerful artist. These three aspects , these three higher concerns were not differentiated in him and did not exclude one another, but entered indivisibly into all his activity. In his convictions he never separated truth from good and beauty; in his artistic creativity he never placed beauty apart from the good and the true. And he was right, because these three live only in their unity. The good, taken separately from truth and beauty, is only an indistinct feeling, a powerless upwelling; truth taken abstractly is an empty word; and beauty without truth and the good is an idol. 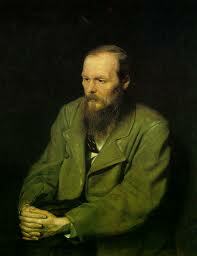 For Dostoevsky, these were three inseparable forms of one absolute Idea. The infinity of the human soul–having been revealed in Christ and capable of fitting into itself all the boundlessness of divinity–is at one and the same time both the greatest good, the highest truth, and the most perfect beauty. Truth is good, perceived by the human mind; beauty is the same good and the same truth, corporeally embodied in solid living form. And its full embodiment–the end, the goal, and the perfection–already exists in everything, and this is why Dostoevsky said that beauty will save the world” (Vladimir Soloviev, The Heart of Reality, trans V. Wozniuk, p. 16). What is beautiful? 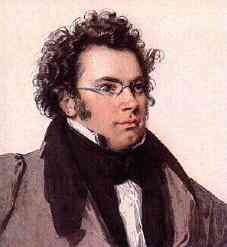 Schubert’s Ave Maria, composed by the legendary composer in 1825, three years before his untimely death at thirty-one. 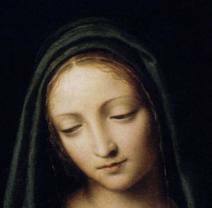 Schubert’s melody is beautiful, a perfect tribute to the second most beautiful human being God ever created: Mary, the Blessed Mother of our Christ. It began on June 2nd. The year was 1979 when the Alitalia jetliner set down in a land that history forgot for 123 years of its thousand year history. A Man in White with kind eyes stepped onto the tarmac. He knelt and kissed the earth. Lee Strobel was an atheist who came to believe in Jesus after spending two years trying to disprove His divinity. Be sure to watch the video from my previous post where Mr. Strobel, a former reporter for the Chicago Tribune, talks about his surprising findings about Christ. C.S. Lewis was another atheist who did not want to believe in Jesus. His friend, J.R.R. Tolkien of Lord of the Rings fame, presented compelling arguments in defense of Christ that began to persuade Mr. Lewis to reconsider his atheism. Mr. Lewis was further persuaded to believe in God, and eventually Jesus, after reading “The Everlasting Man” by G.K. Chesterton. Mr. Lewis was transformed from an atheist into a theist and eventually into the most persuasive Christian apologist of the 20th century. C.S. Lewis famously framed the debate on Jesus this way: either he was lord, liar, or a lunatic. There’s no middle ground. He spent the rest of his life making the case for Christ. It is a compelling case. I put up a video in my previous post by comedienne Janeane Garafalo who dismissed Christianity as a myth. I have listened to a little of Ms. Garafalo on TV. I’ve read some C.S. Lewis. Mr. Lewis comes across as the more intelligent of the two. (Nothing against Ms. Garafalo, C.S. Lewis is smarter than most people I know!) In fact, he was in agreement with Ms. Garafolo until he began to truly study and think … and eventually pray … about this Man who walked the earth two-thousand years named Jesus. So why does a former atheist and crime reporter for the Chicago Tribune now believe Jesus and His claims are real? Because of the evidence. Why did an atheistic Oxford literary academic change his mind and become one of the most influential Christians of the 20th century? Because of the evidence. There are two exciting paths to Jesus: reason and revelation. Stubborn men like Lee Strobel and C.S. Lewis were lead to Christ through the path of reason. The upside of the journey is off the charts! I don’t know how much Ms. Garofalo has read, studied, or even contemplated the Bible. But I mention her quote because she will influence a certain segment of her audience with her dismissive attitude of the most fascinating book ever written. Is the drama of God’s gradual revelation of Himself to man really on the level? Can we trust that the texts are accurate; that the four Gospels that talk about Christ aren’t agenda-driven works of fiction? I believe that the bible is God’s revelation of Himself to man. I don’t say that casually. I’ve come to this belief through two paths: revelation and reason. I read a series of books by former Chicago Tribune reporter, Lee Strobel, who wrote about his journey from atheism to Christianity. His first book, called “The Case for Christ,” was written as if he were a reporter. He wrote the book in an attempt to disprove Christ’s existence and His claims. Strobel was stunned to discover that there’s a mountain of evidence to support the miraculous underpinnings of Christianity. Watch his video below to learn more. Then go pick up your Bible. Read the Gospel of John to whet your appetite for a message of hope that can change your life. A miracle may have recently taken place. I will tell you about it in a moment. But first, I’d like you to ask yourself: are miracles really possible? And if they are possible, have they ever really occurred? There are four possibilities as postulated by Dr. Peter Kreeft, professor of philosophy at Boston College and the author of many books related to the Christian faith. “Possibility One: If miracles are not possible, then they cannot be actual. That we know. Possibility Two: And if they are actual, then they are possible. That we know. Possibility Three: But if they are possible, we do not yet know whether they are actual. As a Christian, I believe miracles are possible. Fundamental Christian doctrines of incarnation, resurrection, and salvation depend on the reality of the miraculous, on the idea that God can … and does … intervene in the system of natural causes. So what is the possible miracle to which I referred? It happened in 2005. Sister Marie Simon-Pierre, a French nun, suffered from Parkinson’s disease. It is a degenerative disease of the nervous system, the same one with which Pope John Paul II was afflicted. Sister Simon-Pierre has suffered from Parkinson’s since 2001. She had reached a point where she couldn’t drive. She had difficulty walking. Her left arm hung limply at her side. On the evening of June 2nd, 2005, she prayed. Her prayer was specific: she asked Pope John Paul II, who had died two months earlier, to pray on her behalf for the remission of her illness. The Catholic faith believes in the Communion of the Saints. Even more, it believes they can intercede on our behalf, that death doesn’t mean the end of our ability to pray for others. So Sister Simon-Pierre prayed to the late Pontiff to intercede on her behalf. On the morning of June 3rd, 2005, this French nun awoke without symptoms of Parkinson’s disease. Did a miracle take place? “All I can tell you is that I was sick and now I am cured. It is for the church to say and to recognize whether it is a miracle.” These are the words of the 46 year old nun who regained her health. The Catholic church is investigating her case. 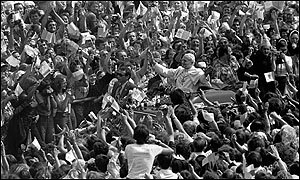 Convincing evidence of two miracles need to be attributed to Pope John Paul II before he attains the status of a Saint. Time will tell if the case of Sister Marie Simon-Pierre qualifies. A medical cure must have no scientific explanation; it must be sudden, complete, permanent, and inexplicable by doctors. It is a comforting thought. An army of angels of saints are praying for us. Ask them to intercede in your life.